FORMER Socceroos assistant coach Scott Miller is keen to provide elite soccer coaching for junior boys and girls throughout the Mornington Peninsula. Miller is the principal of Identity Pro Academy based at Toorak College in Mount Eliza. The former Fulham assistant and Newcastle Jets head coach returned from Denmark last year where he worked as an assistant coach at Aalborg BK. 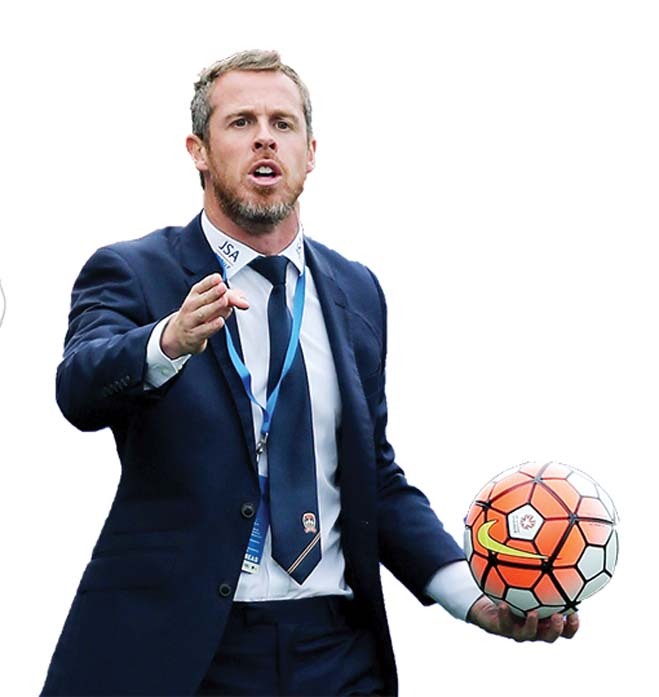 Miller is one of the highest credentialled coaches in Australian soccer and is contracted to Fox Sports as a football analyst. He holds an AFC Pro Diploma and a UEFA A-Licence as well as tertiary degrees in sports science and sport psychology and wants to impart his expertise to young local players. “Our community academy was created to provide opportunity to local Mornington Peninsula footballers by offering a holistic approach which will encapsulate coaching, skill, movement and high performance programs,” Miller said. Identity Pro’s 10-week program has a high performance component which includes injury prevention, football fitness and exclusive access to over 200 performance recipes available through the nutrition section of the academy’s website. Dandenong Thunder strength and conditioning coach Alistair Wallace has joined the academy’s coaching staff. Identity Pro also offers a performance psychology component via winning mentality workshops and last week announced that it had partnered with Sports Performance Tracking to offer players real time feedback on the physical demands of the training sessions. There are only 40 places available for 20 boys and 20 girls aged 12 to 16. The boys’ program starts on Monday 23 July and the girls’ program starts on Thursday 26 July. Identity Pro will also run a school holiday program at Baxter Soccer Club for ages eight to 14 on Monday 2 July. “It’s important to note that this is not an elite academy but instead it is open for all levels who want to improve and it is designed to provide an education of what is involved at an elite level without the pressure and expectation of having to perform,” Miller added. Identity Pro also offers an online subscription for players and clubs who can sign up for access to an exclusive video-based program. For more information about Identity Pro go to www.identitypro.com.au or email info@identitypro.com.au for registration enquiries.